For as long as I can remember sports and physical activity have been important to me. They have shaped my life and have allowed me to become the person I am. Over the years I have had competed in many sports however endurance sports have become my passion. 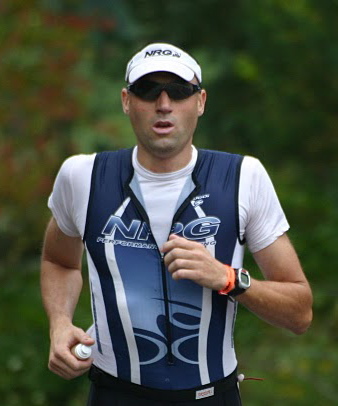 Since I have become a NCCP Certified Completion Coach (Triathlon), I have been able to share my knowledge and experience as well as motivate and teach triathletes, of all ability levels, to obtain personal best performances while maintaining a healthy active lifestyle. I believe that successful athletes need to be in balance with the world in which they live in. My coaching style is to nurture and build successful athletes with holistic values that are based on physical, social, environmental, psychological, and economic conditions. That way I am able to create individual training programs based on each athlete's goals to ensure optimal training, racing and lifestyle. I believe that the athlete/coach relationship must be built on trust. A coach is trusted to design a program for an athlete to reach their goals, whereas the athlete must follow the plan and be truthful with feedback and execution in order to see results. My commitment and enthusiasm has been seen in the local triathlon community, as I was a coach and executive member with the Mississauga Triathlon Club as well as coordinator for the Kelso Open Water Swim Club. My effort with these two clubs was recognized when I was awarded the Coach of the Year by Triathlon Ontario. My excitement for endurance sports is not limited to coaching, as I am also an active participant. I have competed in nearly all distances of triathlons, various road and trail running races, mountain bike racing and was a former national level competitive swimmer. My triathlon experience has been highlighted with multiple Ironman finishes in Canada, Lake Placid, Mont Tremblant along with Challenge Roth, numerous half distance races including Rev3 Knoxville, Quassy and Cedar Point, local favourites Peterborough Bracebridge and Welland, as well as Muskoka 70.3 and the 70.3 World Championships in Clearwater. Why do I do all this? One word: lifestyle. I love it! I love being active! Swimming, biking and running are great ways to stay healthy. I enjoy the people in the sport; their energy, enthusiasm, knowledge and passion, all make me a better person. I love teaching and coaching others to become better, and enjoy the sport of triathlon. I love the challenge of competition that a training session or race brings. I also love being a role model to my children and hope that one day they can find something they love, and do it with the same enthusiasm and commitment.